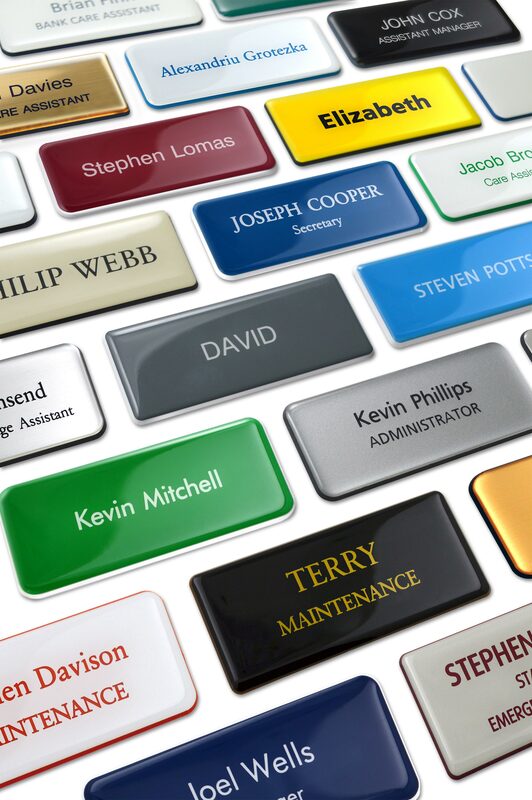 Adding a clear domed finish to a simple plain text name badge gives it that ultra-professional look. Not only will customers be able to identify your staff easily, but they’ll also be impressed by the high quality of their name badges. The clear polyurethane domed finish adds a layer of protection and professionalism, providing depth and a 3D look to your name badge.